Classic American style was born in British boathouses, where the very first blazers were fashioned for college rowing clubs. This book, created by champion rower Jack Carlson, offers an insider's guide to the elaborately striped, piped, trimmed, and badged garments, as well as the stories, elite athletes, historic clubs, and races associated with them. Featuring lush photographs by "prep" guru F.E. 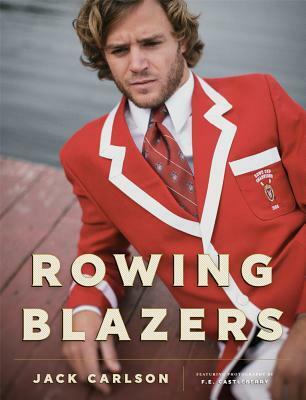 Castleberry, "Rowing Blazers" is a definitive visual feast, transporting readers to the highly atmospheric boathouses, campuses, and team rooms of clubs around the world. For anyone who has raced the rivers or lined the banks, this handsome ode to the eye-catching, evocative rowing blazer is a must.